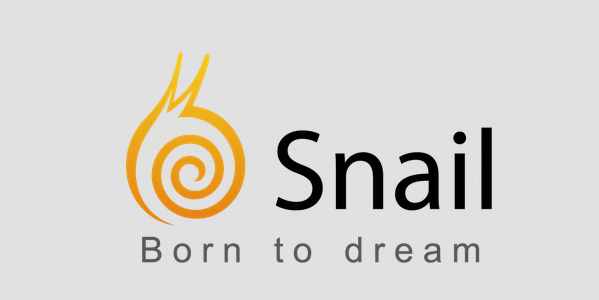 Snail Games Introduces New Devices, a Big Step for Mobile Gaming? Snail Games, a Chinese gaming manufacturer for Android products is kicking off the year with a fresh unique line of their new gadgets. Starting off as developers, Snail Games is no stranger when it comes to manufacturing hardware as they are one of the key developers in China as well as one of the most successful online gaming developers. With great success in China, Snail Games is hoping to expand their overall successful dominant progress to North America. Just before their products official release at this year's International Consumer Electronics Show (CES), Snail Games have given us a simple glimpse of what to expect from them this year. First up on their list is the introduction of their new Android running console, the Obox. The console will be equipped with a powerful Nvidia Tegra K1 processor which is the same processor used in Nvidia's SHIELD Tablet. The Obox will be running at 4GB of RAM, it will be compatible with a hard drive of your choice, and includes 4GB of flash storage. Snail Games have confirmed that their console will have different variations according to what the consumer purchases, several examples include the option of having different processors (either a 2.2GHz or 2GHz version), different HDMI setups, and also four different hard drives to choose from that range from 500GB up to 4TB leaving you with plenty of space. All of the Obox's parts are interchangeable which means that the consumer can upgrade their hardware down the road in case they're not happy with their current part. A unique feature the console has to offer is the outputting of 4K video as well as its 3D compatibility with most 3D TV's. Another key feature that Snail is hoping to implement in coming months is the option of playing PC games on the Obox. Other features of the OBox include connectivity via 802.11ac WiFi and Bluetooth 4.0. As well as 10/100 Ethernet, two USB 2.0 ports, one USB 3.0 port and three HDMI ports making connection to a variety of displays possible. Doesn't sound bad for Snail's first line of consoles, but will it be enough to stand a chance against other competitors? Snail Games will also be responsible for the manufacturing of their new line of smartphones, the W series which consists of the W3 and the W3D. Both smartphones can be easily mistaken for another handheld console since the phone features two analog sticks, a set of four directional buttons, a set of four action buttons and a 5.5" full HD touch screen display. It's no wonder that many consumers mistake the product for just another handheld device, but Snail Games also built awesome features inside this tiny smartphone. Both devices run a 2.2 GHz MediaTek MTK6595 octa-core processor, feature a 5.5", 1920 x 1080 full HD pixel display, runs with 2GB of RAM, provides a 16GB of internal storage, includes a MicroSD card slot, and finally a 4000mAh battery. The devices have front and rear cameras, WiFi and Bluetooth accessibility, 4G LTE and runs Google Android 4.4 KitKat. They also feature a front facing eye-tracking camera which allows you to focus on your phone and not deal with the phone dimming out while watching a video. So what is the big difference separating both phones? If the name doesn't give it away, the W3D supports 3D imaging without the need of 3D glasses. People will be able to view movies, videos, and even play mobile games with the enjoyment of watching it all in a 3-dimensional screen. Seems like a new era of mobile gaming has been introduced, but will it be enough to make the W3D a top seller? Chinese markets will be receiving the W series as early as this month while North American markets will be put on hold. Only small details have emerged from Snail Games themselves and have kept the release date and pricing confidential until further notice. It is possible that Snail Games will be waiting until after or during CES to unveil more details about their devices including the official date and price as well as any other specifications they haven't already released. Can the Obox be one of the best consoles around today, or will it be left in the dust by the current generation of consoles other companies provide? Will this brand new line of smartphones and the W3D's 3D compatibility be enough to establish the W series as an iconic smartphone?